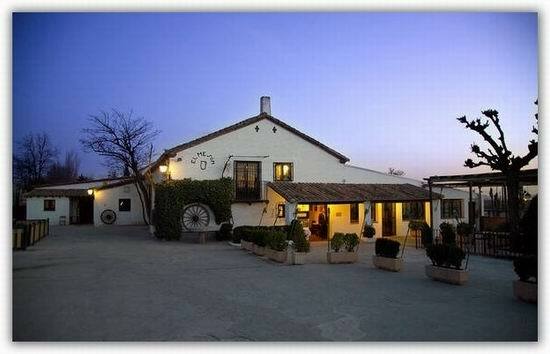 El Meson de Fuencarral is a traditional restaurant offering Spanish cuisine. The average price of a main course dish at the El Meson de Fuencarral restaurant is 18 euros. The average price of a 3-course meal at the El Meson de Fuencarral restaurant is 30 euros. Note that although GoMadrid.com strives to maintain all information about El Meson de Fuencarral up to date, the prices mentioned are only an indication and may not reflect the exact value of your meal. Restaurant located in a 19th-century mansion. It has been a restaurant since 1932 (it was only abandoned during the war), and offers typical Castilian cuisine in a rural setting. A roaring hearth during the winter and a summer terrace with views of the mountain range of Madrid. The address of the El Meson de Fuencarral restaurant is: Ctra. de Colmenar Viejo, Km 14,5 (Dirección Madrid), 28049 Madrid. Please see the El Meson de Fuencarral restaurant location map below.